ExxonMobil announced that Mobil Jet Oil 387TM, a synthetic High Performance Capability (HPC) turbine engine oil, has been approved by GE Aviation for use in its CF6 engines, which includes the CF6-6, CF6-50, CF6-80E and CF6-80C2 commercial as well as L1F and K1F military variants. CF6 engines are used to power a number of popular wide-body aircraft, including the Boeing 747 and 767, Airbus A300, A310, and A330, McDonnell Douglas MD-11, DC-10, as well as Air Force One. 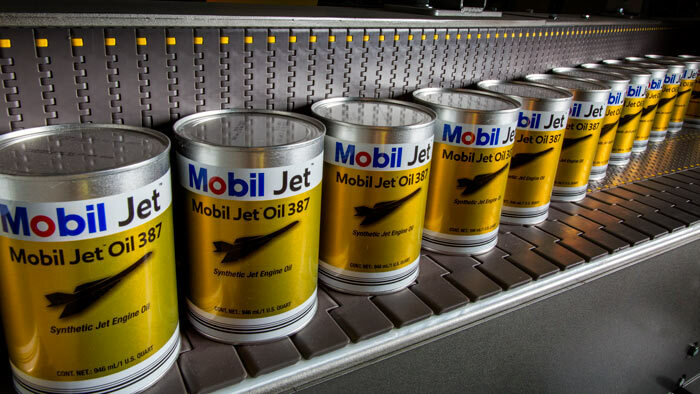 As part of the required approval process, Mobil Jet Oil 387 underwent more than 40,000 hours of on-wing testing onboard aircraft operated by a large global carrier. Engine inspection results from the evaluation period revealed that Mobil Jet Oil 387 provides the necessary resistance to coking and deposit formation inside the engine’s oil supply and scavenge lines from the 6R bearing, meeting every demand for a High Performance Capability oil. With increasing OEM approvals and continued airline interest, Mobil Jet Oil 387 is now being used to protect more than 300 aircraft around the globe. Today, Mobil Jet Oil 387 has accumulated more than four million hours of on-wing performance. Along with Mobil Jet Oil 387, Mobil Jet Oil II and Mobil Jet Oil 254 are also approved for use in GE Aviation CF6 models. All Mobil Jet oils, including Mobil Jet Oil 387, are produced at ExxonMobil’s state-of-the-art Port Allen aviation lubricants plant in Baton Rouge, LA. The 90,000 square foot facility, which commenced operations in 2016, features advanced equipment and technologies that enable ExxonMobil to produce a reliable supply of Mobil Jet oils and meet the increasing demand for high-performance synthetic aviation lubricants.